Objectives: To find how many elderly persons with 65 years and older are within a service area of each Integrated Continuous Care Team (Equipa de Cuidados Continuados Integrados - ECCI), with each area computed around the geographic location of each ECCI headquarters and encompassing all accessible streets that can be reached within a certain travel time spent on driving a vehicle. 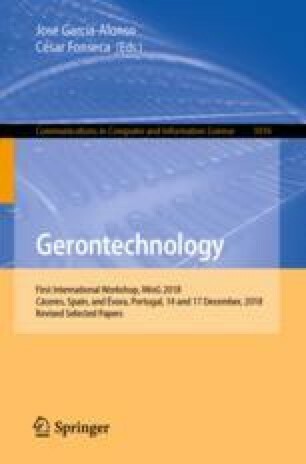 Methods: A Geographic Information Systems (GIS) was developed, based on the geographical location of the elderly persons residing in the Alentejo region of Portugal (the study area), whose data was derived from the last National population census. Then, a network dataset model was also added to the GIS system, corresponding to a model of the real street network of the study area. After that, the GIS Service Area Solver was applied to determine all the ECCI service areas (one service area per each ECCI). Finally, the aim was to identify the several residing areas that overlap each ECCI service are, in order to compute the total number of elderlies residing within each ECCI service area. Results: The number of elderly residents covered by ECCI teams for two ARS sub-regions increased, notably from 36725 to 40841 in relation to the ARS Alentejo Central, as well as from 19264 to 31429 in relation to the ARS Baixo Alentejo, when considering the ECCI service areas instead of the geographic division based on the Municipalities. Discussion: The increase in elderly resident population that can be covered by ECCI teams in ARS Alentejo, based on the calculation of GIS services areas, was set in 14.6%. This work was supported by 4IE project (0045-4IE-4-P) funded by the Interreg V-A España-Portugal (POCTEP) 2014-2020 program.